Who has seen frog spawn this spring in Ross-shire or Sutherland? Please report your first sighting this year and where that was. As usual, the first sighting report was from Betty in Strathcarron by Ardgay. 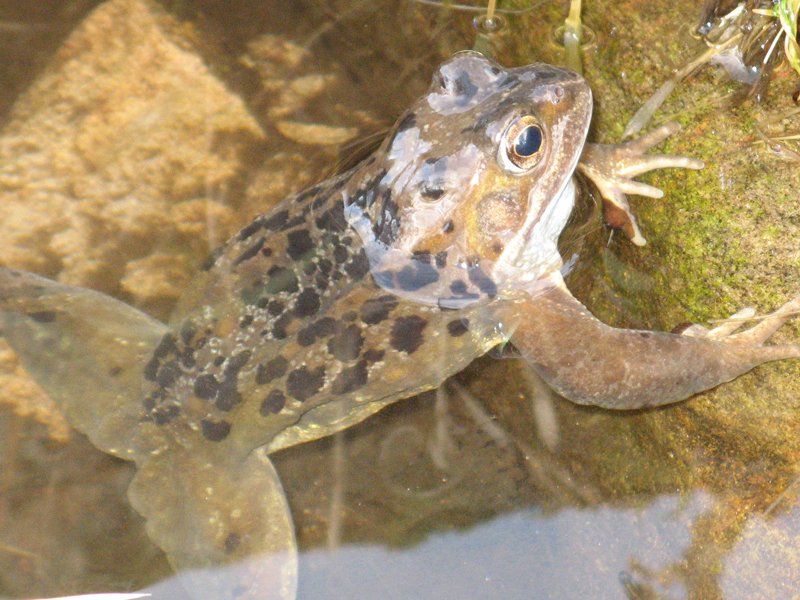 The year 2011 has now passed into history – please look in newer posts for ‘First Frog Spawn (This Year)’. This entry was posted on Tuesday, February 15th, 2011 at 21:55	and is filed under Who Has Seen What, Zoological. You can follow any responses to this entry through the RSS 2.0 feed. Both comments and pings are currently closed. 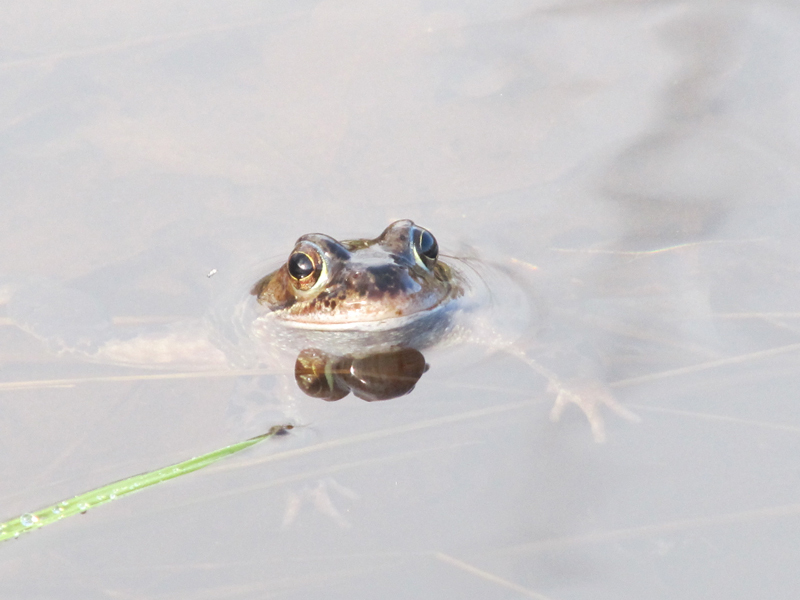 Just the sort of sighting for the Big Spawn Count; Pond Conservation, Amphibian & Reptile Conservation and ARG UK are collaborating on this research into the effect of winter kill. Thanks for this interesting observation! Amphibians breeding in the Winter is more common than you might think but is usually seen in southern Europe! 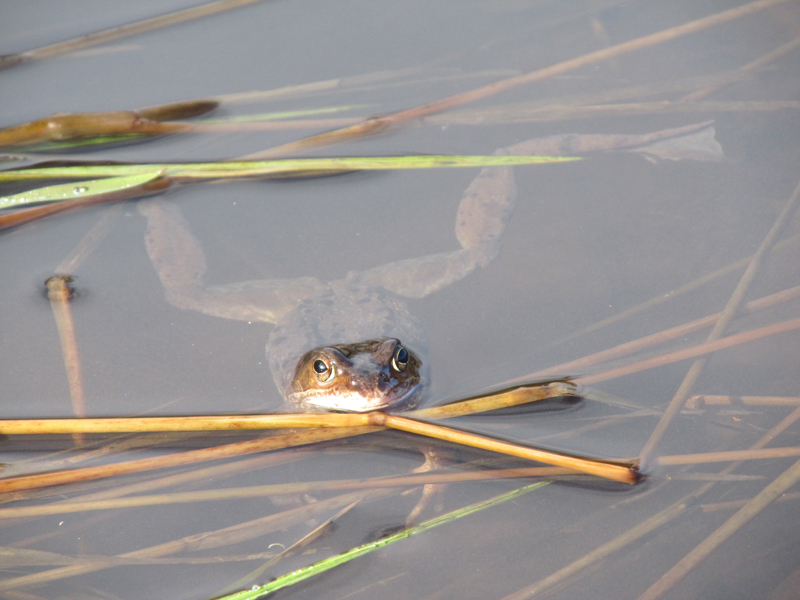 We think of frogs as spawning in the spring, but the truth is that they tend to spawn (i) when there’s enough water in the ponds and (ii) importantly, when they sense there are the right sorts of algae in the pond that will support their growing tadpoles. When the autumn is mild and ponds re-fill by December-time, spawning can and does occur, though usually not on a large scale. The danger is that there will now be a very cold spell and the eggs/tadpoles will freeze to death. If you happen to be in the area again over the Winter I would be interested to know if the spawn hatches and develops successfully. Thanks for the interesting record of December frog spawn. Our group is based in the Highlands of Scotland where we have snow even at low levels today so definitely no frog spawn here. I’m afraid I don’t know how common this would be in Cornwall. I would suggest contacting Amphibian and Reptile Conservation (http://www.arc-trust.org/) or Froglife (http://www.froglife.org/) with this record. December 5th 2011. Just returned from walking dogs at Goonhilly Downs on the LIzard in Cornwall and have seen numerous clusters of frog spawn. Is this latest sighting of 2011 or earliest for 2012 ? Whatever, there is an awful lot of it. Having lost so many frogs due to the bad winter weather I had become worried. 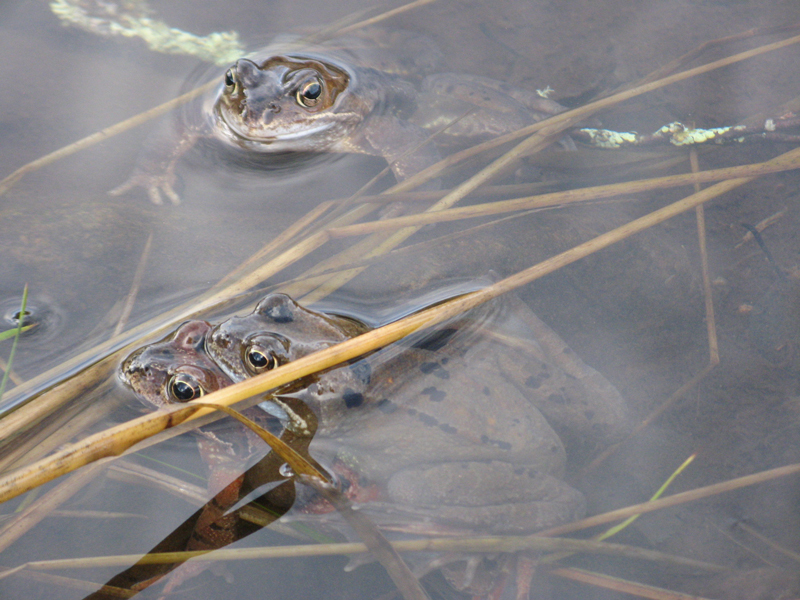 Two weeks ago spotted a male and female common frog ‘embracing’ and also heard male frogs calling. Did a water test and results were healthy. First frog spawn spotted this morning 20th March, in a pond which is 6ft long x 3ft wide x 1.5ft at deepest part. Also seen two newts (not sure if smooth or palmate). Pond is wildlife only and does not contain fish. NH466890 – 3 toads spotted 23rd February. Many frogs (20 plus) spotted 24th February. 1 clump of spawn seen 27th February. I checked the Gearrchoille wood spawning sites today. Lots of spawn in the pools despite the work done on the water system in the autumn. A few clumps of spawn showed a little damage on the surface due to frost or possible predation attempts. Admin says: Likely damage was due to frost as overnight low was below 0.5 DegC. 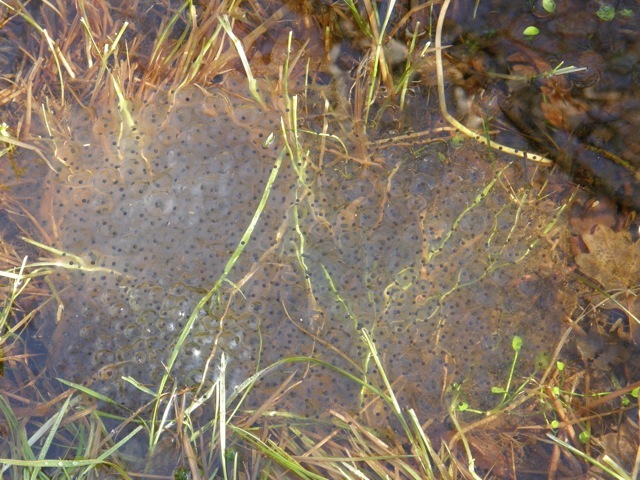 At last, first frog spawn at Oldtown Ardgay was seen today located at about NH 595 895. Big healthy clumps of spawn were seen. 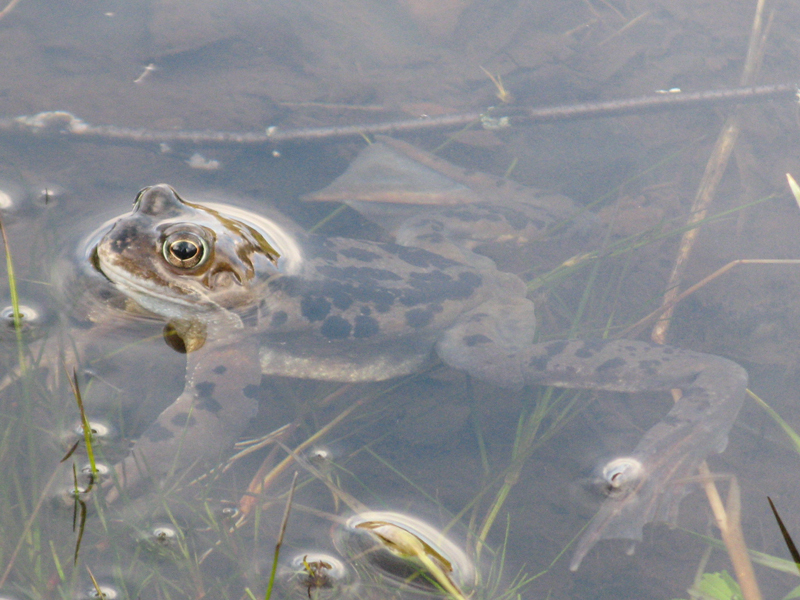 These will be common frogs – no adults were seen. Our first frog spawn appeared last night (night of the 24th of Feb) in our horses field. I have just a small pond in cornwall approx 2ft x 3.5ft. I first noticed frogspawn on 19 Feb. We now have 9 massive clumps of it, merged to cover about two thirds of the pond surface and approx 20 frogs. I also have 5 fish. Once the tadpoles develop, will the fish be affected by lack of oxygen in the water, tadpole poo or food supply? Hi Charlotte I was wondering were your garden is so that this can be entered in records. I will contact you by e-mail for details. I had 26 frogs in my small garden pond and first frog spawn on Sat 12th Feb! I saw my first frogspawn today just behind the house & 2 froggies in the pond.